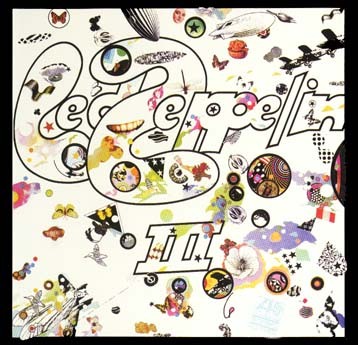 Led Zeppelin III is a key recording for Jimmy Page because it contains the song "Stairway To Heaven". This song solidifies Page's place as one of the best guitarist and songwriters of all time. The guitar solo in the song was voted the best ever by Guitar World magazine and the song is always mentioned when talk arises of the best song ever. This album represents the band at it's peak of creative brilliance and inspiration. This album was Led Zeppelin's first album and it brought them much praise and fame. It was one of the first recordings to introduce hard rock to the mainstream and be popular. This CD contains the classics "Babe I'm Gonna Leave You", "Dazed and Confused", and "Communication Breakdown". These songs are all timeless. This album is very important because it very successfully made Led Zeppelin a known band. This album is important because it shows Jimmy Page's versatility. Roy Harper is a folk artist that Page worked with in Harper's album, Stormcock. Playing with an artist outside of Page's main genre shows his talent and virtuosity on the guitar. This album shows that he can play with anybody and solidifies him as a true guitar great.